Tuesday night, I finished writing THE BEAUTIFUL ASHES, book one in the new Broken Destiny series. Now, I’m excited to finally share the cover with you, so here it is! 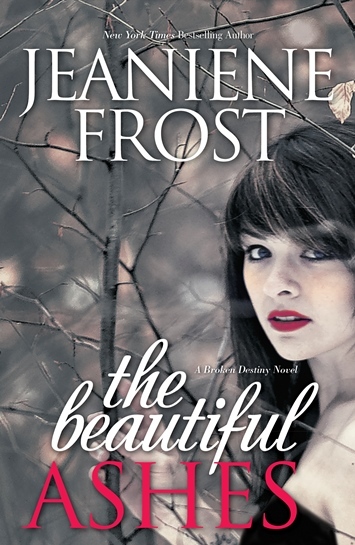 THE BEAUTIFUL ASHES releases on August 26th in paperback, ebook and audiobook. If you’re interested, here are some preorder links: Amazon, BAM, Powells, B&N. As I’ve mentioned before, The Beautiful Ashes is a NA, or New Adult, novel. New Adult is a fairly new market designation and I’ve seen some readers confuse it with YA (Young Adult), so let me explain, as best as I can, what it is. For starters, it’s not YA. That is a market designation for novels with at least one protagonist aged 14-17*. In fact, when I first thought up the story concept for THE BEAUTIFUL ASHES back in 2007, I was told I’d have a problem because at 20 (or 21, as I see her now) my heroine was too old for YA, yet too young for the adult market. I ran into this same issue back when I was looking for a home for HALFWAY TO THE GRAVE, by the way. Until recently, the NA market didn’t exist, thus the 18-23* age range was almost a dead zone for protagonists in genre fiction. I never understood why. In my opinion, very pivotal things happen within those years. For example, between 18 and 23, I got my first full-time job, got married, got my own place, experienced my first loss when a dear friend died, had a traumatic family event with my grandmother’s massive stroke and subsequent paralysis, got separated from my husband, got back together with him, got fired, found a new job, made new friends, lost touch with others, traveled and found my faith. In short, I discovered who I was and what mattered to me enough to fight for, while also letting go of the things that really didn’t matter. *I know there are exceptions in these age ranges, but I’m speaking in general terms because this post is long enough as it is :). This sounds so good! Can’t wait to read it. The cover is gorgeous, love the contrasting colors! Chris Hemsworth is a big time obsession of mine so any reason to daydream about him I’m game for! I am very excited about your new series (Broken Destiny)!!! Sometimes you have to blaze a trail and go where no woman has gone before lol … I too just finished writing a manuscript that’s outside the norm – it’s between a picture-book and graphic novel. You have a great story line, wish I’d thunk of it ~ it quickly raised my excitement level… I wanted to know more about them and I’m a grandma! I look forward to getting a copy for my 20 year old daughter. That cover is awesome! Blessings and thanks for sharing ~. Very nice Jeaniene, you’ve successfully dropped enough crumbs to ensure we follow without question. And love the cover. The colors, the model, the fonts all work together very well. Quite seductive. It looks really good. The story sounds interesting and I’ll be reading it when it comes out! I cant wait… I have read several New Adult books and it has became one on my favorite reads . I was very excited when you announced your new project was New Adult! Look foward to reading your new series. I am attending the RT convention in New orleans and look forward to hearing more about your series in the New adult panel you are sitting in! It’s pre-ordered, but now we all have to wait until August! At least you are giving us some teasers. The cover looks awesome! Love the cover and I can’t wait to read the book! I am so excited!! I think you did such an absolutely fabulous job with Cat and Bones that I’m super excited for a new series! !